For many footy fans, the memories of State of Origin football during its halcyon days still burn bright. Parochial crowds, proud players, physical contests, passionate coaches: these were the hallmarks of the showpiece games that helped define a golden era of footy during the 1980s and 1990s. 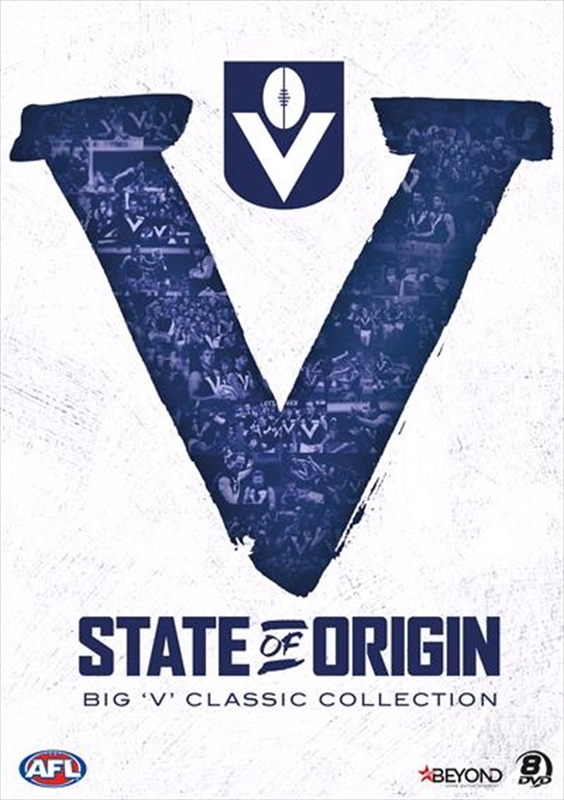 In this collection, relive many of the greatest interstate matches ever played by Victoria; the most dominant and successful state in State of Origin football history. Who could forget Dermott Brereton, Jason Dunstall and Tony Lockett demolishing South Australia in front of a sold-out MCG in 1989; or an under-pressure Big V team facing Western Australia which, inspired by Gary Ablett, stuck it right up em! at the WACA. Experience the unforgettable moment as Ted Whitten a man whose mere presence on the sideline embodied all that was good about the interstate contest farewells the MCG with an emotional lap of honour in 1995; and watch again the 2008 match against an Australian Dream Team as the AFLs best players face each other in a high-scoring celebration of 150 years of Australian football. All these moments and more are here, in eight of the finest ever performances from Victorias State of Origin, presented in their original broadcast format.